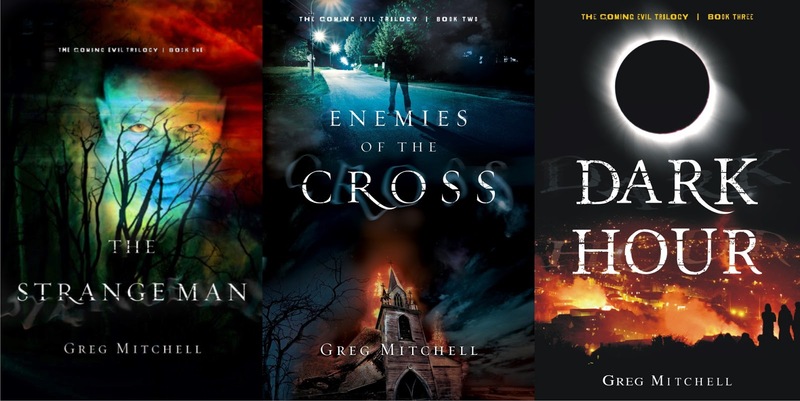 Supernatural thriller author Greg Mitchell stops by to talk about horror movies, the Teenage Mutant Ninja Turtles, and of course, his creepily creepy suspense thrillers! Greg Mitchell - the man, the myth, the legend. Who is he really? Just a working stiff with a great wife and two little girls, who enjoys spinning yarns about monsters that strike from the shadows. And sometimes they get published! You have several published works to your credit. When and how did your writing journey start? I’ve always written stories. I can think back to being in the fifth grade and writing this epic conclusion to the entire Teenage Mutant Ninja Turtles saga that spelled out the final fates of all the heroes and villains. But it wasn’t until about 1996 when I graduated high school that I really wanted to pursue writing as anything more than a hobby. I saw Scream on opening night and the crowd was so involved in the movie—screaming and laughing and holding each other—and it reawakened all the fond scary movie memories of my youth (that I had somehow forgotten during the overdramatic pains of adolescence) and I knew beyond a shadow of a doubt that I wanted to be a horror writer. I pursued screenwriting for awhile in the Christian film market, wanting to produce a “Christian Horror” short film that I wrote called The Coming Evil. Needless to say, I couldn’t find any support at that time in my early career, so I adapted and expanded the script into a trilogy of novels over the next decade. In 2011, the first book in The Coming Evil Trilogy—The Strange Man—was published by Realms Fiction. 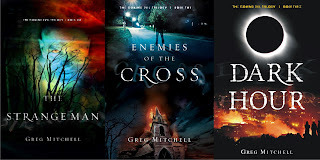 2012 saw the release of the second book, Enemies of the Cross, and just a couple months ago, Splashdown Darkwater released Dark Hour, the third and final book in The Coming Evil Trilogy. Now, nearly twenty years after I set out to be a horror screenwriter, I’m finally making some in-roads, so, who knows? Maybe The Coming Evil will get made into a movie one of these days after all! That would be pretty funny if turned out that way—but I leave that up to God. Who are some authors and what are some books that have profoundly affected your writing? There’s the list of usual, clichéd suspects: Stephen King, H.P. Lovecraft. Yet, in the course of my career, I’ve met some good pals in the horror writing business whose works have inspired me just as much, if not more: Ed Erdelac, Bob Freeman, Josh Reynolds. These are guys who are in the thick of the fight, just like me, improving their craft, writing terrifying and wonderful tales of monsters. I’ve gotten to know them all a little bit and after seeing their behind-the-scenes trials, then reading the finished products of their works, I’ve been encouraged. Their passion for this genre inspires me and pushes me to be a better storyteller. As for books, I always cite John Steakley’s Vampire$—famously, or perhaps infamously, adapted into the John Carpenter movie. I fell instantly in love with the movie back in ’98 and, many years later, hunted down the original book. It’s really not like the movie at all, but stands as a fascinating and intricate portrayal of “the monster hunter” and what that kind of life would do to a person. I love that book. It’s the perfect example of taking something inherently ludicrous (like vampires), but treating it very seriously and thoughtfully, lending it credibility and gravity. That’s something I’ve always tried to achieve in my own work. One look at your book covers and it's easy to see these are some spooky stories. What draws you to write in the horror/supernatural genre? As a kid, I was petrified of everything. My parents remind me that when I was a small child, I was anxious about each birthday as I neared double digits. I used to see birthdays as one year closer to dying. That’s pretty grim for a 6 year old. Growing up, I was scared of being kidnapped (a very publicized danger in the ‘80s), scared of being noticed by bullies, scared that I would never find a girlfriend, etc. I just walked around in this prison of fear. But horror gave me a release from that. Horror overloads you with fear, hurling one terrible situation after another at you. It’s nothing but monsters and screaming and death—but you watch as the heroes onscreen conquer it, and as a kid, that gave me hope about my own fears. I identified with the heroes and rejoiced in their victories and took a lot of encouragement from them. As a kid, I started daydreaming about how I would survive against a werewolf or a vampire or Freddy Krueger, but that sort of cool-headed preparation in the face of imaginary monsters started building actual confidence. By the time I was in middle school, I had convinced myself that, should a werewolf break into my home, I knew exactly what I would do—in light of that, passing a math test was easy! Horror, still, is a place I run to in order to get some perspective on the world, to laugh at my fears, to take courage that Evil can be vanquished. As an adult and a father, with a much fuller view of all the horrible things in the real world, I think I need that now more than ever. 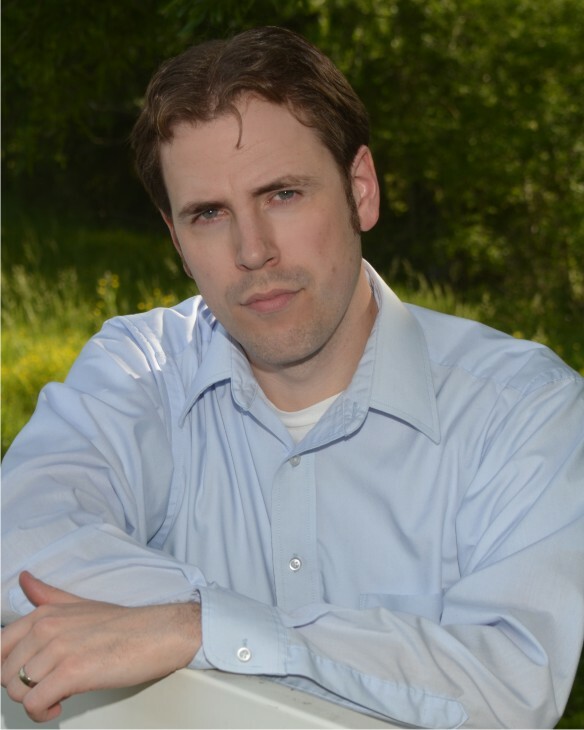 What are some challenges to being a horror author in the Christian book market? Oh, there are a lot of challenges. When I was a monster kid growing up, I was always disappointed by the lack of “horror” books on the shelves of my area Christian bookstores. So, I grew up thinking “There’s a real void here! I’ll fill it!” But now that I’ve had a few such books sitting on shelves, I see that the reason they’re not there more often is that people don’t buy them! Your typical customer who strolls into LifeWay to buy a Bible for their grandson or see what the new Beth Moore women’s group study is about is not looking for a book about gruesome creatures who strip the flesh off their hapless victims. They want nice, peaceful fiction about women finding the men of their dreams and getting closer to God in the process. Or maybe they’ll want a “thriller”, but they want something that’s very much rooted in the real world. I’m beginning to worry that there’s just not a place for the fantastic on the shelves of the Christian bookstores, and that’s a shame. God is the fantastic, in the ultimate sense of the word! A spirit being that spoke the world into creation and exists outside of space and time and beyond the ken of mortal man?! Talk about incredible stuff! But too often, we’ve shrunk God down into a fragment of Scripture on a cutesy little plaque to hang in our kitchens. We’ve robbed Him of His scope and terrible majesty. We often don’t want to think about anything “alien” or “weird”, but would much rather lead very safe and pleasant lives. Horror, however, is all about tearing away safety and this sort of illusion that we are in control of everything. It reveals the unspeakable monsters that lurk just outside of our peripheral and, in my mind, causes us to run screaming to God for protection. Horror, to me, forces me to consider something larger than myself and seek answers in God. And, now, if you’ll give me a moment to put away my soapbox, we’ll get back to the interview. You've just completed the final book in The Coming Evil Trilogy. Tell us about this series, and are you working on any new projects? The Coming Evil Trilogy is a throwback to the fun creature features of the ‘80s. You’ve got the idyllic small town of Greensboro that has fallen on hard financial times with the moving of the highway. The people have slipped into apathy and their cold hearts have opened the door for a demon known as “The Strange Man” to march in with his army of flesh-eating gremlins. At first, the only one who notices is Dras Weldon, a twenty-something college dropout. He’s unemployed, has no ambition in life, and is the town joke. He’s a monster movie fanatic, though, and soon realizes that he’s in the middle of a monster movie. As he tries to convince people to take him seriously, others come to his aid. By the end of the trilogy, it’s a full blown monster war with hell’s worst monsters on one side, and simple people armed only with their faith on the other. It’s really “Christians versus monsters”: we say we have faith, but how strong is our faith when faced with impossible odds and impossible creatures? Working on a lot of new projects. Short stories, novels, screenplays. I’ve got about seven irons in the fire right now, give or take. Near the top of that list is writing a sequel to last year’s Rift Jump. At its heart, Rift Jump is also about monsters and a great Evil that lurks in between the worlds, seeking to devour all of creation. But that book is much more of a superhero comic book take on the subject matter than The Coming Evil is. The second book is shaping up to be more horror-driven, though. We’ll see how it shakes out. I hope everyone comes and checks out my blog at www.thecomingevil.com. That’s the hub of my web presence, and you can find me on facebook and twitter through there, as well as links to all the places you can buy my books! We’ve got short fiction, author interviews, book commentaries—the works. Good stuff! And check out a very insightful review of The Strange Man on Speculativefaith.com! Great interview! Greg's books look intriguing. I love a good monster story. I read it. You dish out excellence as always, Greg! I’m still reading your stuff. It’s going to be a quite a while yet, but I’ll be posting some more reviews for you, too. Keep up the good work, and know that God is pleased with what you’ve done for Him, despite what some might think.